The perfect addition to your front porch! 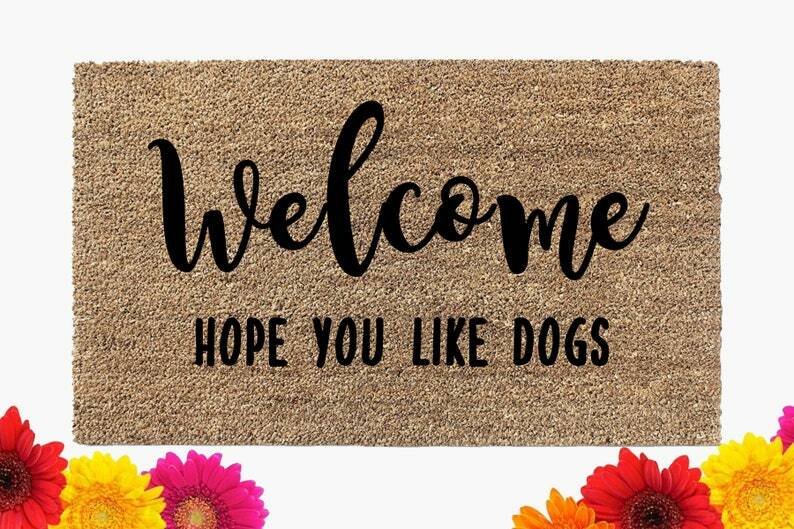 This doormat will come as pictured and states "Welcome - Hope You Like Dogs." Super cute and good quality. Beautiful mat, looks just like the picture! Exactly what I was looking for.